​As I was driving home the other day this sang played and the line that says "my faith shall be my eyes". I have not been able to shake those words from my heart and they have been joined with the words from Hebrews 11:1 "What is faith? It is the confident assurance that what we hope for is going to happen. It is the evidence of things we cannot yet see". While at a thrift store I found a book on the Fruit of the Spirit. It was a quick and easy read but there is a story in the chapter of Faithfulness that I had to share. This is a perfect example of Christ the faithful gardener cultivating the fruit of the spirit within our lives. I can honestly admit that I have left Him on the bench waiting for me more times than I would like to admit. I need to choose to remain faithful in the process of growing so that not only will I grow but also that others around me can experience His fruit as well. for he cannot deny who he is. The integrity of Christian faith requires unity between the words we profess and the actions we perform. 16-22 “You’re hopeless! What arrogant stupidity! You say, ‘If someone makes a promise with his fingers crossed, that’s nothing; but if he swears with his hand on the Bible, that’s serious.’ What ignorance! Does the leather on the Bible carry more weight than the skin on your hands? And what about this piece of trivia: ‘If you shake hands on a promise, that’s nothing; but if you raise your hand that God is your witness, that’s serious’? What ridiculous hairsplitting! What difference does it make whether you shake hands or raise hands? A promise is a promise. What difference does it make if you make your promise inside or outside a house of worship? A promise is a promise. God is present, watching and holding you to account regardless. 23-24 “You’re hopeless, you religion scholars and Pharisees! Frauds! You keep meticulous account books, tithing on every nickel and dime you get, but on the meat of God’s Law, things like fairness and compassion and commitment—the absolute basics!—you carelessly take it or leave it. Careful bookkeeping is commendable, but the basics are required. Do you have any idea how silly you look, writing a life story that’s wrong from start to finish, nitpicking over commas and semicolons? Honestly, I am worried. I am worried about who we are becoming as a Christian nation. Too often I leave conversations with "Christian" friends or acquaintances and feel a heaviness on my heart. Why are we afraid of our faith? or are we ashamed of our faith? why have we become so liberal in our thoughts and actions? What has become of our faith? ​Are you ready to pray radically? Have you ever prayed to feel the heart of God? Do you dare? Quiet your heart and simply ask, now listen. Listen with your ears - your heart - your faith. Since you now have the song repeating through your head, go ahead and push play. Close your eyes and sing at the top of your lungs! Sing a love song to your Savior. Do your actions and words match? Write what you heard and felt during your prayer time. Don't make it a one time event. You are the hands and feet that is needed here on earth. What breaks your heart? What is something that you can tangibly do this week to be the hands and feet of Christ in this area? I would like to welcome our special guest Ann Swindell. 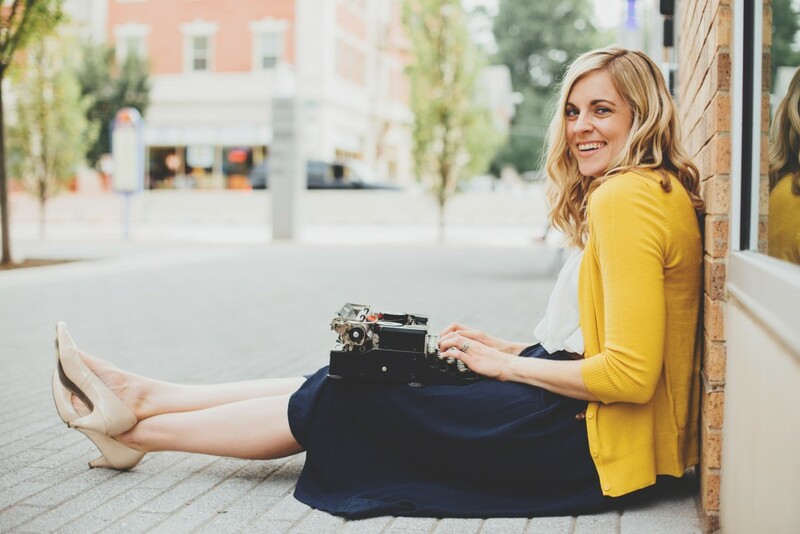 She is a writer and speaker who is passionate about seeing women set free by the love of Christ. She spends her weekdays as a college instructor of writing, her weekends as a pastor’s wife, and every day of the week as a wife, mom, and coffee drinker. Ann blogs and writes for multiple publications, including Today's Christian Woman, (in)courage, Relevant, Deeply Rooted, and Darling Magazine, and makes her home west of Chicago with her husband, who is a pastor, and their daughter, who is a joy. Check out Ann's new book! I am continually pondering the status of my faith. If my faith were tested would I be able to stand? ​I keep thinking about different scenarios and what if this happened or what if that happened- would my faith stand the test? In the past week I have read articles and heard discussions concerning Christians who do not believe parts of the bible. My faith believes that the universe was spoken into existence. My faith believes in the virgin birth. How can anything else be possible? How can people question or excuse parts of the Holy Scriptures? If we are questioned about our faith, will we have the answers? Do I only know the commonly used scriptures in the Bible or do I really know the scriptures? I believe that a time is coming when our faith is something that we will need to defend and choose to stand for. We need to prepare and be ready. In Esther we see that famous scripture that she was created for such a time as this. This isn't only true for Esther's life - but for all of us. I have never felt so drawn to be ready as I do now. Are you ready? All Scripture is inspired by God and is useful to teach us what is true and to make us realize what is wrong in our lives. It straightens us out and teaches us to do what is right. It is God's way of preparing us in every way, fully equipped for every good thing God wants us to do. Have you felt a draw to be ready? Do you feel like there is so much more to learn? Do a little research and find a devotional or study that can help you in this area.